Want to have insurance for your vehicle? Do you have your driver's license with you? No? Fear not! You can get an insurance policy even though you do not have a proper driver's license. Even if you have a car for your own, you would need a minimum insurance policy covering your vehicle to drive it on the roads of Texas, San Antonio or any other Texan state. 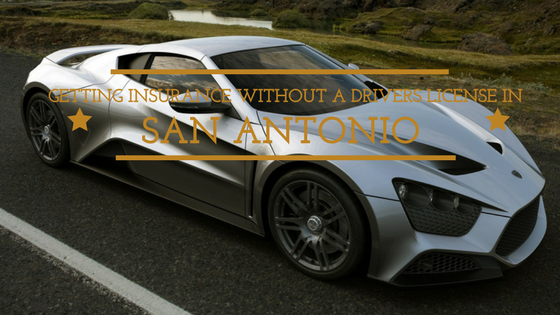 Although the government of San Antonio allows you to get insurance for your vehicle, it can be a real tough job to accomplish. Typically, people think of such a situation as not reasonable and discard your request. So, it recommended that you be as honest as possible with the agency you are approaching. Many insurance agencies and companies let you purchase a policy without any DL. However, there are many cons of doing so like you would have to pay higher premiums for the policy. Here is the basic procedure that you'll have to apply if you need an insurance without a DL. A primary driver is a person who can take care of your vehicle; examples may include, professional driver or a close friend. Choosing a blood relative as a Primary driver can be helpful at times and should be given some extra priority. In case your spouse or some other close relative is the Primary Driver, then they should become the policy owner, and you will need to be the excluded driver in the insurance policy. An excluded driver is someone who is not covered by the policy. Insurance companies do not pay for any damage caused an excluded driver. The second option is having your own insurance in your name without a drivers license. The trick lies in finding such an agency that offers this option. At Cheapest Auto Insurance we give you a detailed explanation about all options that you can avail and will benefit. In this case, the primary driver should be able to insure the vehicle even though it is not listed in any of their current insurance policies. Many insurance agencies provide such options that allow you to insure vehicles that you do not own directly. In short, you have to find a company that allows the primary driver to insure the vehicle. Finding a company that offers all the options mentioned above can be hard. If you are not able to find a suitable company, then last option is to have your primary driver made the co-owner of the vehicle. Again, do this only if you are completely satisfied with your choice of the primary driver. You would want to exclude any personal conflicts here. Making the primary driver, a co-owner for the vehicle will enable them to take any insurance policy out on the vehicle if necessary in most cases. Talk to an agent today. It is recommended that pick your primary driver with caution, they must have all the documents and permits required for purchasing an insurance policy.